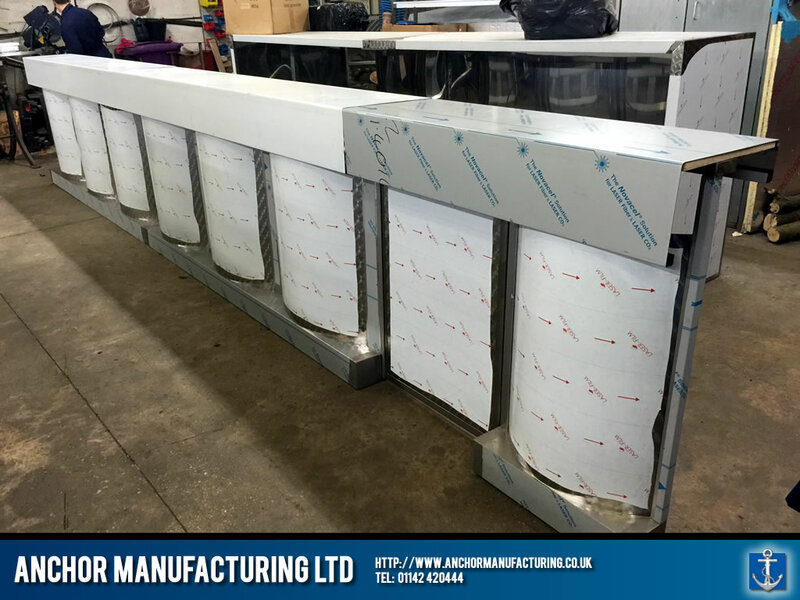 A Filey Fish & Chip Shop Restaurant serving counter, fabricated in Sheffield Stainless Steel. 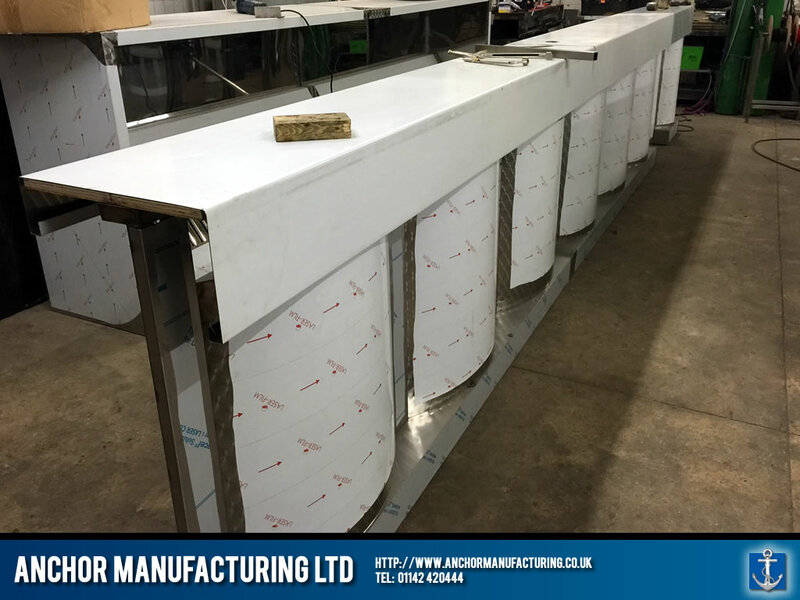 Anchor Manufacturing LTD fabricate a custom made set of kitchen equipment in the form of a stainless steel Fish & Chip shop restaurant counter for our customer in Filey, East Yorkshire. 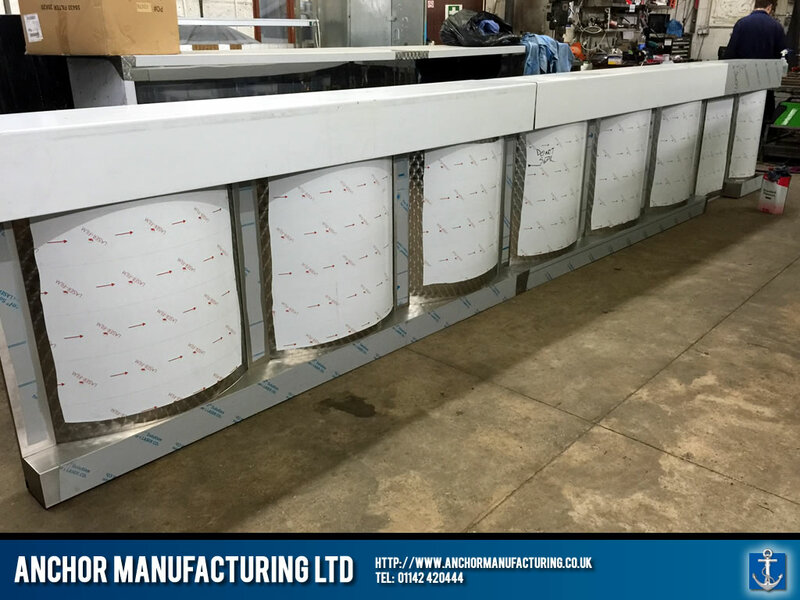 Featuring a bespoke ‘wave’ style panel design, each panel has been carefully molded to exacting parameters, and the unit features a custom door unit to allow access through the shop front. 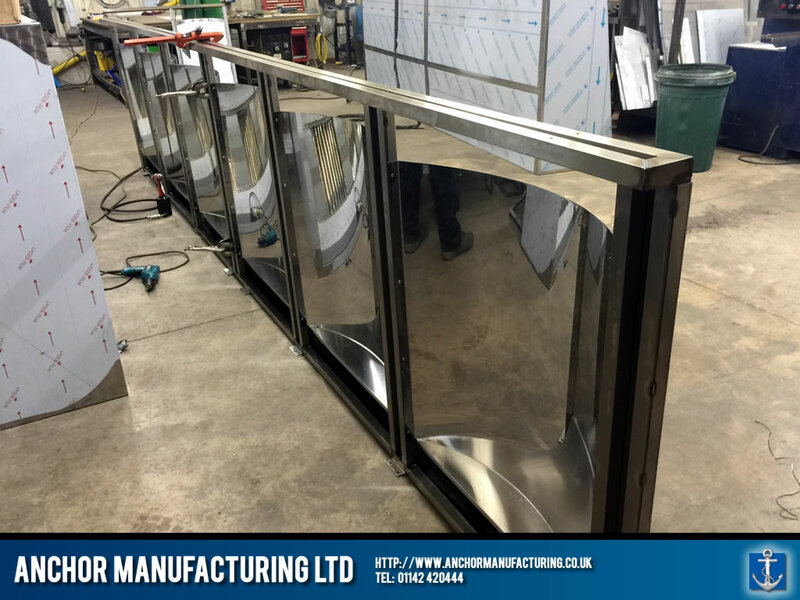 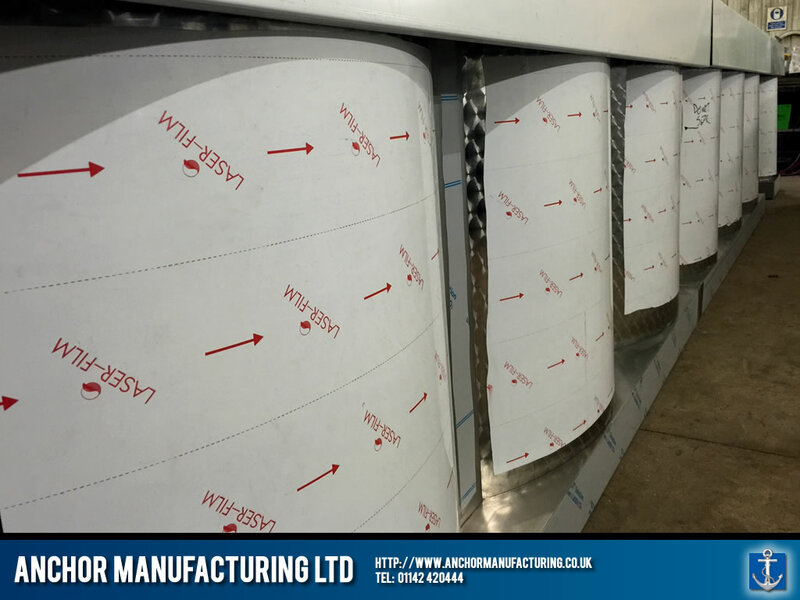 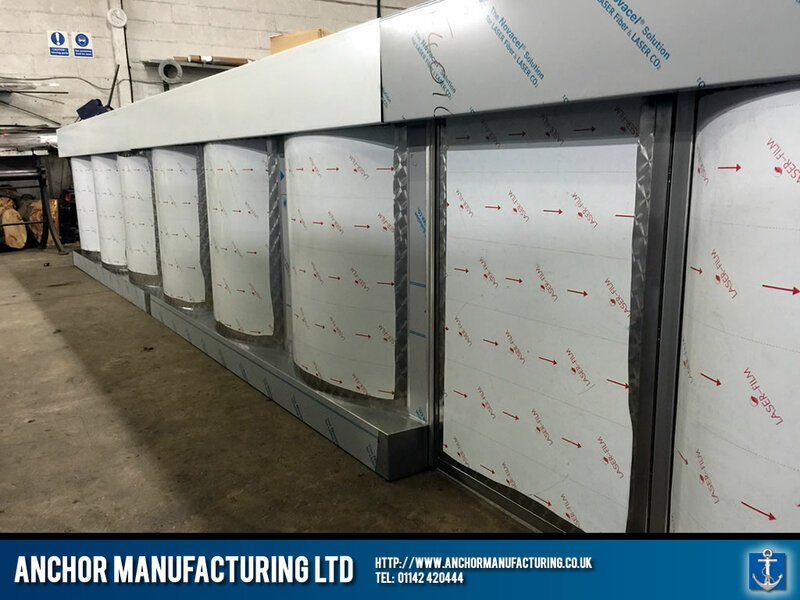 Each wave panel is fabricated from local Sheffield Stainless Steel with a special circular polish finish which adds an amazing aesthetic quality to the final product. 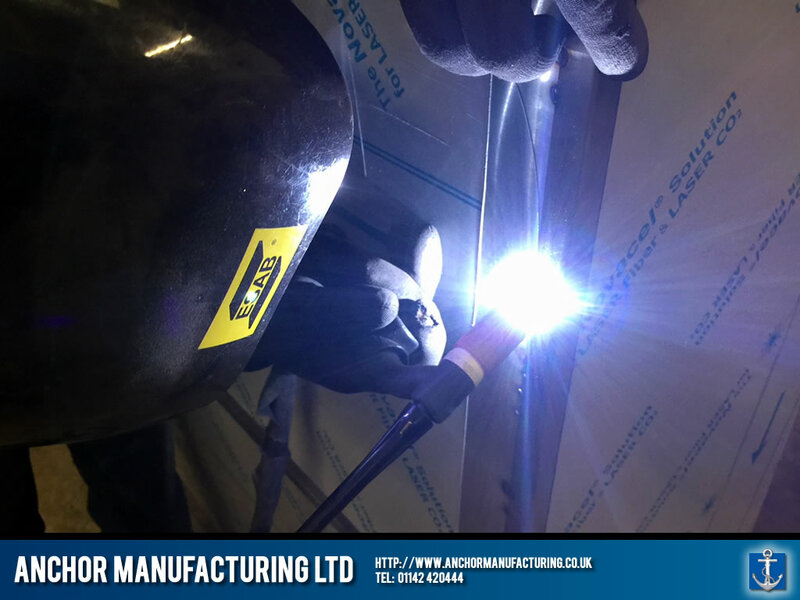 each section has been lovingly crafted and tig-welded to ensure a very happy customer.